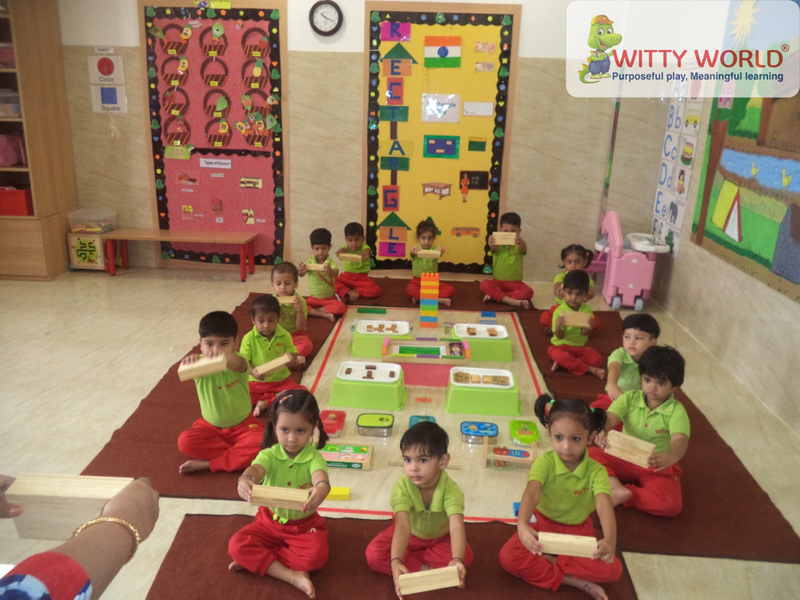 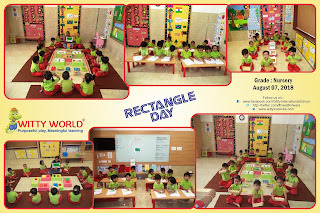 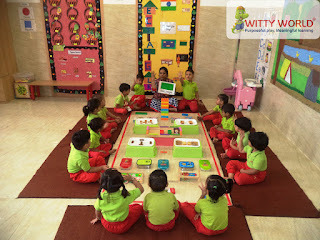 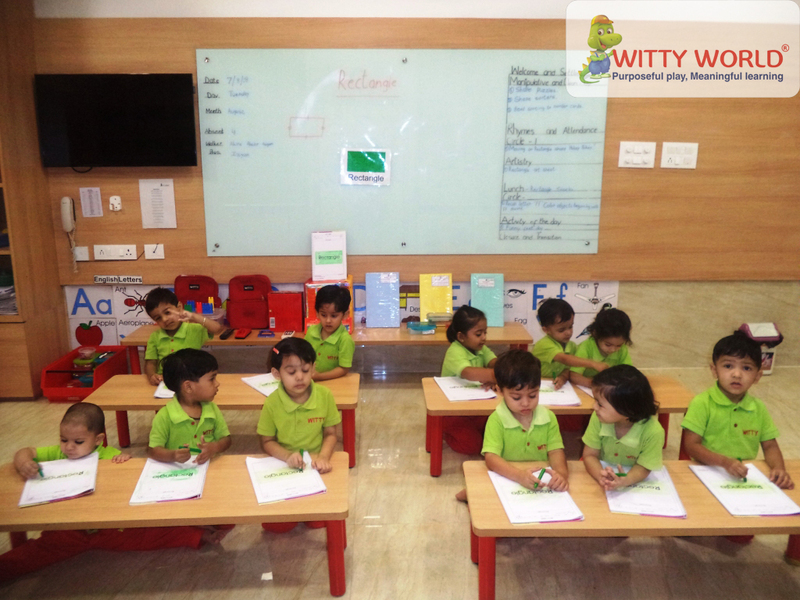 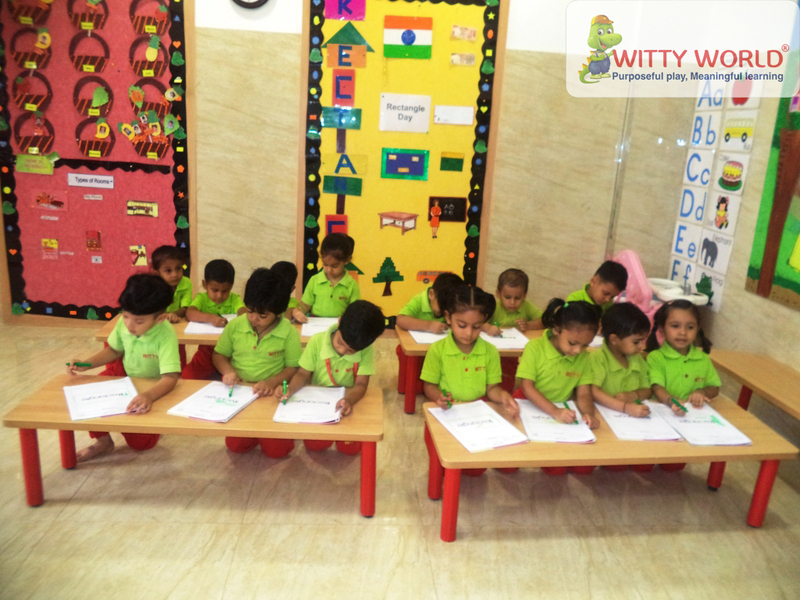 The little kids of Witty Kids, Bhilwara celebrated Rectangle Day on Tuesday August 07’ 2018. 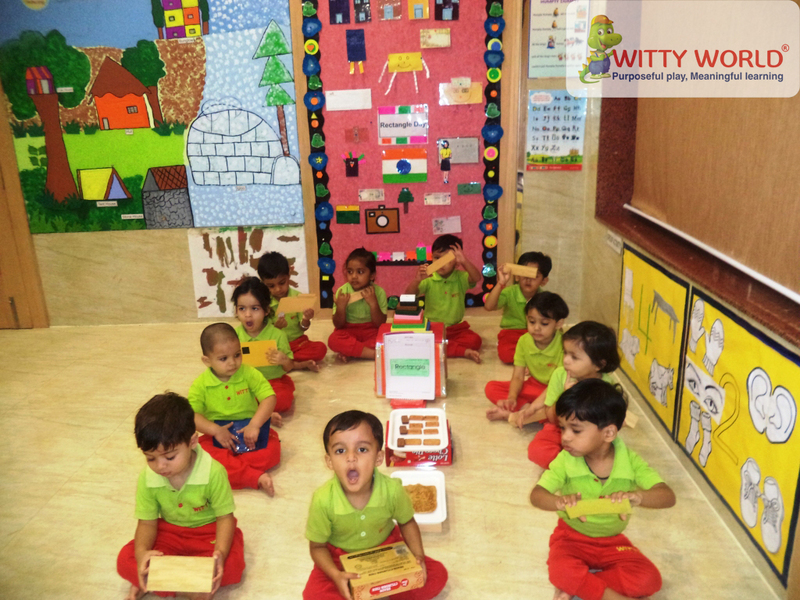 They were excited to see their class room decorated with various rectangle shaped objects. 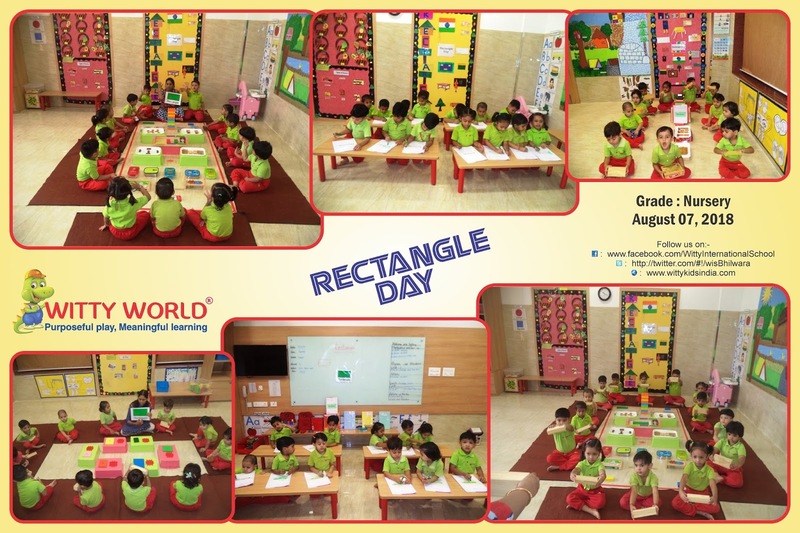 They marched on the giant rectangle shape drawn by the teacher on the floor to become familiar with the concept. 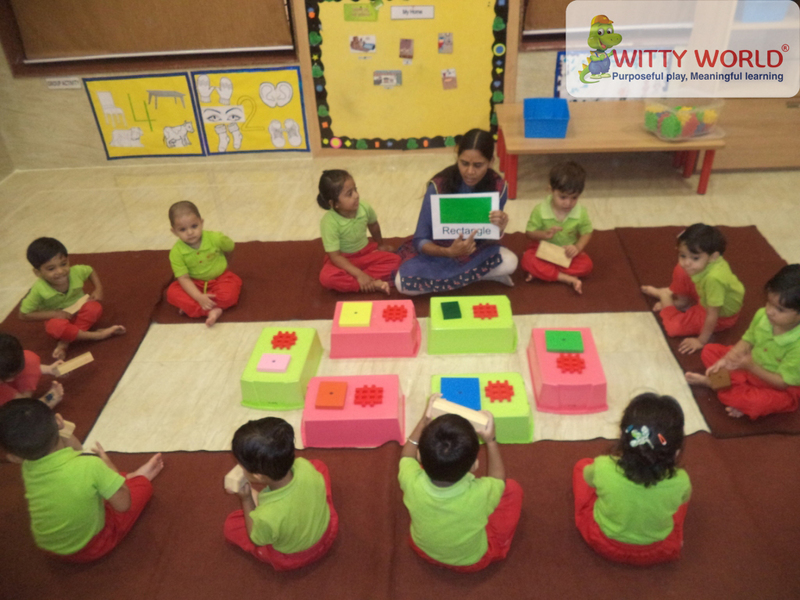 Children enjoyed the story of Ricky Rectangle who lived in shape land. 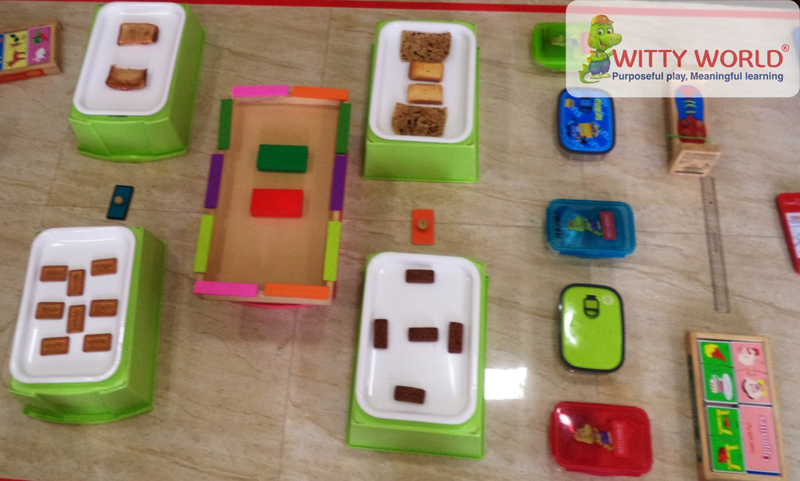 Children relished the rectangle shape snacks (biscuits, parantha etc.) 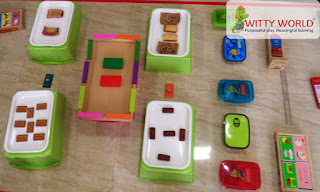 which they brought from home. 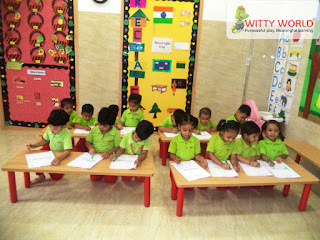 Children also did colouring in rectangle worksheet. Through the activities kids could recognized the shape Rectangle.